Welcome to our Clinic Blog! Here's where we introduce ourselves. I'm Leslie Tay. I was born a Teochew to Teochew Parents who were born of Teochew Parents themselves. So I consider myself a purebred Teochew Ah Bah. I grew up in Toa Payoh, spent my formative years at St Andrew's School and then studied in Raffles Junior College. After NS, we all migrated to Sydney where I studied medicine at the University of Sydney. After my doing my Housemanship year at Concord Hospital Sydney, I returned to Singapore with my wife and settled here. Why? Because I missed my Teh Tarik and Roti Prata for breakfast! After working for a couple of years in Government Hospital, I joined Raffles Medical Group as a family doctor, after which we spent 2 years in Bangkok as expats. During this time, I did some mission work as a Doctor in the border regions of Thailand. After returning home, I spent some time working in the private sector and even joined the EDB's biomedical sector for a short stint. Before starting Karri Family Clinic, I was working at the Children's Emergency Dept at KK Women's and Children's Hospital. I completed my Graduate Diploma in Family Medicine in 2007, so I guess I am a little smarter than I was before! Meet my partner, Dr Surendran Baskaran (Baptism name, Marc). 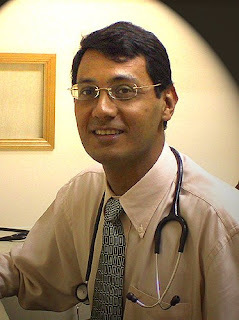 Suren believes that the family doctor plays a central role in the healthcare needs of family's. He studied in NUS and graduated in 1991 and enjoyed working in the public hospitals for 6 years. In 1998 he left to join a corporate clinic Gethin-Jones Medical Group. After a few years there, he started his own practice in Woodlands. He went on to complete the Masters degree in Family Medicine in 2002. Suren is also certified to practise Anti-Ageing medicine where he helps to ensure that people have the resources to live a long healthy and productive life. We are joined this year by Dr Serene Ang who consults during Friday Nights. Serene brings with her many years of experience in Family Practice. She will be focussing on Women's Health and Skin Disorders. Very nice of you to use nice big fonts. Cool blogs of yours to have a medical clinic blog and a foodbie blog. If my little girl should fall ill again, i sld perhaps bring her to see u! Haven't been able to get rid of my kaypoh tendencies, as I had my regular "torture" fix at your food blog, and decided to wander over here. Your website is really cool, very informative, and am surprise to read a doctor's love for food..keep it up ! Your website and blog really cool...you are super! Many Thanks for all the information you provide , i really enjoy reading and tell all my colleagues about your website. hi, nice site...very well done. just want to know...why neither you nor your partner is listed on the SMA Doctor's Directory? SMA is a voluntary association. Both of us are on the Singapore Medical Council. Or else we cannot practise. 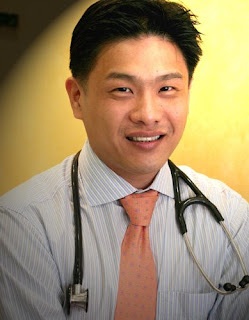 Hi Dr Tay, you sound so down to earth and not " stuffy" like other doctors, keep it up. your website is good..well done..nw then i know mr tay is a doctor.. cool man.. how ur HOkkien mee at simOn rd? Come across your website..Its a great pleasure to see a medical doctor writing a update-to -date and informative blog. Unique! I can see that you are a very nice caring doctor from the feedback from many of your patients and family. Impressive! May you succeed in your doctor career and your doings to help more patients to recover faster. Oh Karri is the name of the tallest eucalyptus tree in Australia! I always thought you love curry so gave your clinic the name. Now I know what Karri means. Nice blog and your wonderful ways of sharing.